Police in Central Florida say Ernst Cherizard, 38, shot and killed two women Friday, with a 6-year-old girl also on life support. Cherizard could now be in South Florida. The shooting occurred at Citrus Ridge Apartments, Haines City , after which, police say, Cherizard fled in a burgundy 2011 Nissan Altima with the Florida license plate GZN C82. That license plate was picked up early Saturday morning by a toll booth in Boynton Beach. Police are still unsure of a motive but say Cherizard was the boyfriend of one of the women, 23-year-old Eli Normil. Six-year-old Isabella Frenel, Normil�s daughter, was shot three times and flown to Orlando. She is brain dead and on life support. According to local Polk County station WFLA, Cherizard and Normil have two children, but Frenel is not one of them. The third victim, 48-year-old Nicole Guillume, is Normil�s aunt. Guillume was shot and killed outside an apartment after asking Cherizard about her niece. After Cherizard fled and police arrived, they found the body of Normil inside the apartment, along with Frenel, who had been shot three times, including once in the head. Haines City Police have asked anyone who spots the Nissan Altima or Cherizard to immediately call 911. 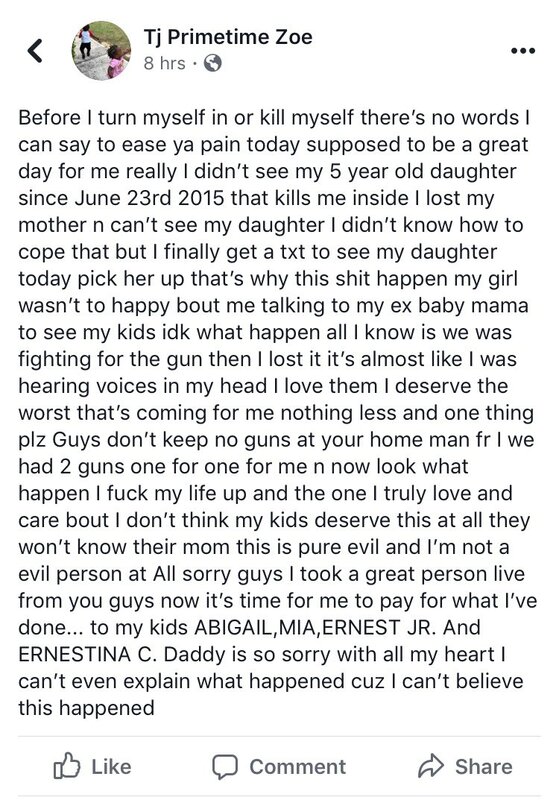 Police said Cherizard posted on social media early Saturday about the shooting, saying in part of a Facebook post directed at his children, �daddy is so sorry with all my heart cuz I can�t believe this happened,� the release states. Elensky said his prayers are with the women�s family and the first responders �who did everything they could at the scene,� the release states. 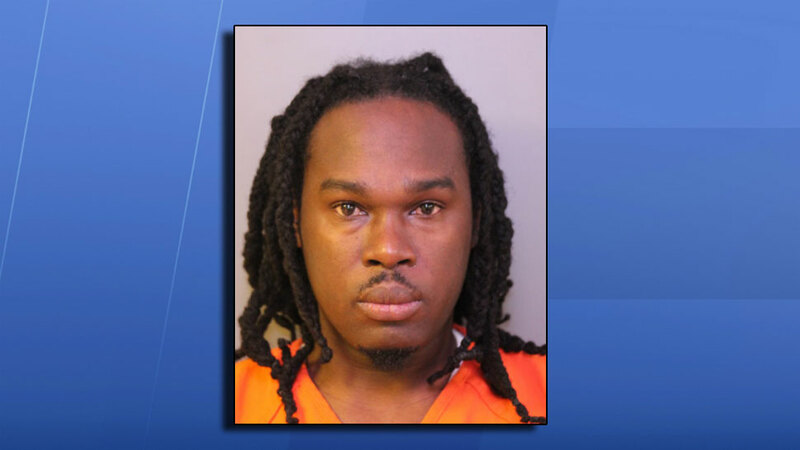 HAINES CITY, Fla. (FOX 13) - Authorities are continuing to search for 38-year-old Ernst Cherizard in connection to a triple shooting Friday night in Haines City. UPDATE: 2:43 p.m. - Haines City Police has confirmed that Ernst Cherizard, the suspect in Friday's triple shooting that took three lives, including that for 6-year-old Elizabelle Frenel, turned himself in Sunday afternoon. I'm gonna go out on a limb and say his motive was that he was miffed about being named after a Pokemon. HAINES CITY, Fla. (WFLA) - A man suspected of killing a 6-year-old girl and two other people at a home in Haines City on Friday has turned himself in. Ernst Cherizard, 38, appeared before a judge Monday afternoon. Cherizard now faces three counts of first-degree murder. The judge ordered that he be held in jail without bond. Cherizard was wanted in connection with the shooting deaths of Elizabelle Frenel, 6, her mother Eli Junia Normil, 23, and Normil's aunt, Nicole Guillume, 48. Police say Ernst Cherizard, 38, shot Frenel and her mother, 23-year-old Eli Junia Normil at the Citrus Ridge Apartments shortly before 7:30 p.m Friday. Normil died and the child was left critically injured. When Normil's relatives came to the apartment to check on her, Cherizard told them they were not there. Her aunt, 48-year-old Nicole Guillume, returned to the complex and a confrontation ensued. That's when Cherizard fired a handgun and killed Guillume before fleeing. His vehicle was last seen passing a Boyton Beach toll plaza shortly after midnight Saturday, according to police. Police arrived at the scene and Frenel was rushed to an Orlando hospital, where she died the next day. Police said Normil and Cherizard were in a relationship and have two children together, but Frenel was not his child. Court records indicate Normil had taken a restraining order out against Cherizard in April of 2017, but the order was lifted two weeks later. Records also show Winter Haven Police arrested Cherizard on a domestic battery charge. The victim was listed as Normil. In the early hours Saturday, Cherizard took to Facebook to acknowledge the crime and apologized to his children. "Daddy is so sorry with all my heart cuz I can't believe this happened," he wrote in the post. Centoria White lives in the complex and walked over to the apartment where the shooting happened with candles and balloons. She is heartbroken about what happened. "I couldn't do nothing but cry. There's nothing to talk about. You just hurt inside," said White, as she held the candles so the wind wouldn't blow them over. "I was just devistated. I stay right over there. So, devistated. Especially when it comes to the baby."